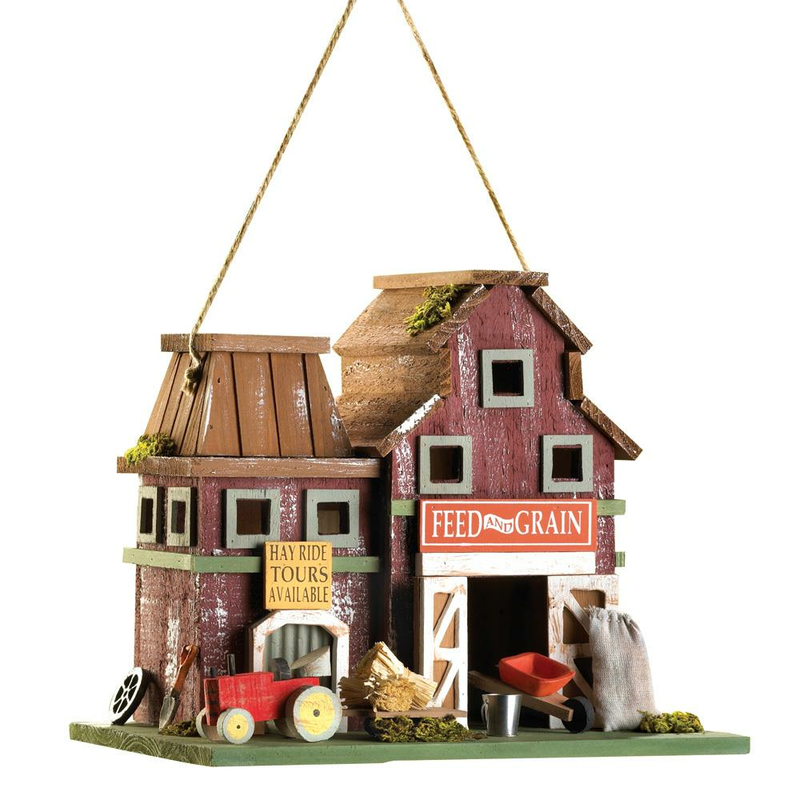 Country living comes to town with this fabulous farm built for a lucky feathered family! 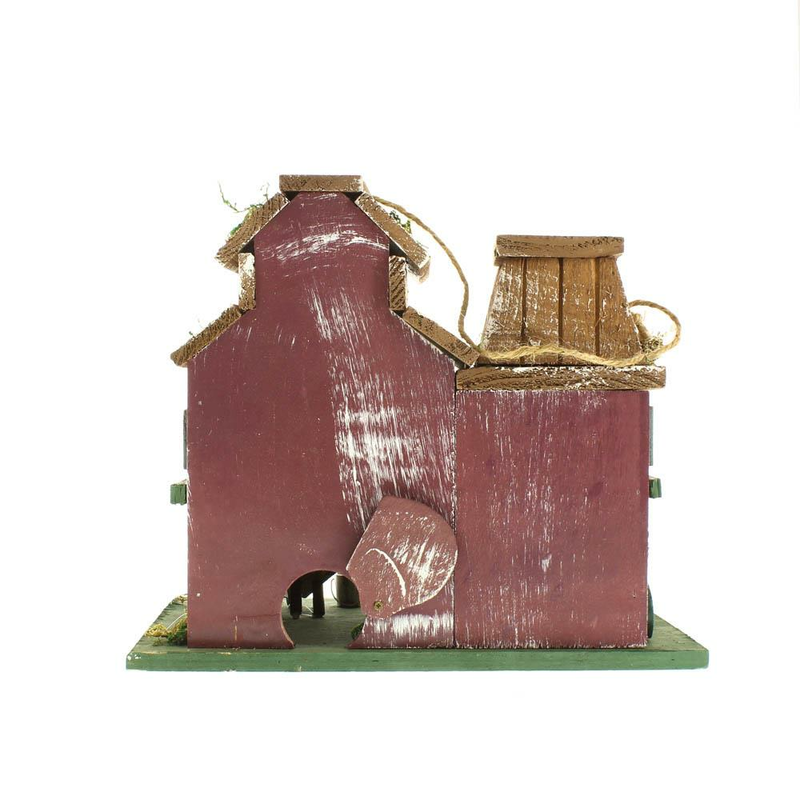 Quaint all-wood birdhouse spares no detail in recreating an honest-to-goodness rustic barnyard scene. Weight 1.2 pounds. 10.2" x 7" x 8.5". Eucalyptus Wood. 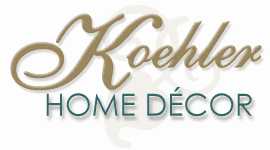 UPC Number: 849179013998.